Fox Footy’s Gerard Whateley is a busy man. And he’s about to get a lot busier when the 2019 AFL season kicks off this Thursday night at the MCG. In footy mad Melbourne, he’ll be dividing his time between radio commitments in Melbourne on SEN 1116 and as co-host of AFL360; a nightly footy show that airs Monday to Thursday on Fox Footy. “Footy commands the town. I’m not alone in this, you give your life over to the footy season once it starts. Now in it’s 9th year, AFL360 takes a ‘news’ approach to footy, letting the day’s events shape the nightly narrative; from the lows of a loss or injury to the highs of a win. 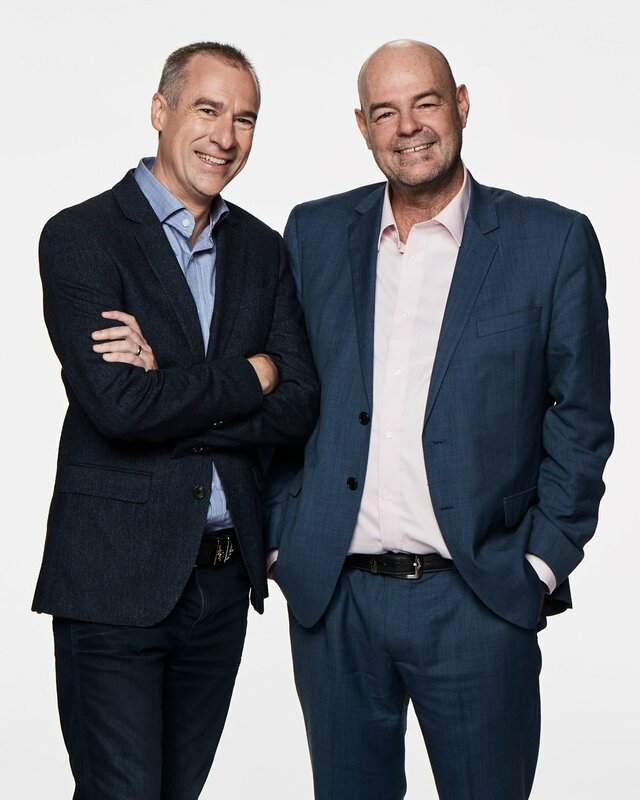 Whateley says he and co-host Mark ‘Robbo’ Robinson work hard to keep things ‘fresh’ and rarely interact before they go to air. “Robbo writes every day for The Herald-Sun. I talk every day on SEN. We then come together and challenge each other’s ideas and test the arguments that have been made. A feature of the show since its inception has been it’s nightly cast of experts from coaches to former players including the ‘recently retired’ Bob Murphy and Nick Reiwoldt and legends of the game; Mark McLure, David King, Jason Dunstall and Dermott Brereton. In 2019, AFL 360 will also welcome Collingwood young gun Adam Treloar to the ‘Players Night’ team alongside Tiger Jack Riewoldt and Demon Jordan Lewis. “Those differing voices offer differing experiences. They’re able to relate from their days to what’s happening right now in the game today. They’re unique insights into the topics that are running right through the week. With the smell of liniment hanging in the air, Whateley says there’s no better place to be than in Melbourne during the footy season. “In Melbourne, there’s footy season and there’s non-footy season! Melbourne never feels more like Melbourne than when the footy is going. The passions of the town and the discussions where one minute we’re all happy and the next we’re all miserable killjoys, it’s all happening in the footy. AFL360 screens Monday to Thursday at 7:30pm on Fox Footy (channel 504 on Foxtel).